The identification of structural plane connectivity is an application problem in rock mass engineering. Theoretically, information of exposed rock mass and its internal borehole is of great significance to predict network of unexcavated rock structural plane, especially in tunnel engineering. In this paper, parameters of structural planes have been obtained through borehole imaging in advance drilling borehole of tunnel face. Furthermore, a geometric discrimination method for the multiple structural plane based on the included angle has been proposed. And then, spatial distribution of the large scale structural plane in the unexcavated rock mass has been recognized by effective assistant techniques. To verify this method, the binocular photogrammetry method has been adopted to investigate the parameters of structural planes during excavation, and then the structural plane model of tunnel face has been constructed. The tunnel face mapping has been compared with that of section of the predicted model. 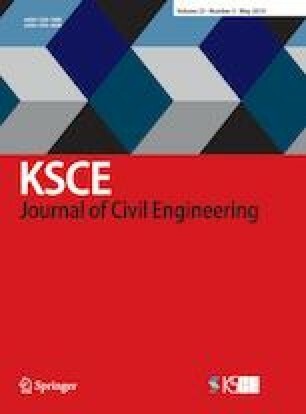 The results showed that included angle identification method based on three boreholes is highly reliable and can be used to accurately construct the deterministic structural plane network in front of the tunnel face.